Since 2008, David has taught the Mediation course at Harvard Law School. He also teaches courses on Legal Profession: Collaborative Law and Diversity and Dispute Resolution. David is also on the faculty of the Harvard Negotiation Institute, teaching a five-day advanced mediation skills course for the Program on Negotiation at Harvard Law School. Before teaching at HLS, he was an Adjunct Professor at Northeastern University School of Law (teaching Alternative Dispute Resolution and Negotiation). He has also been the lead trainer in several mediation trainings for the American Bar Association. David is the founding partner of Boston Law Collaborative, LLC (“BLC”), where he serves as a mediator, arbitrator, and attorney. Prior to founding BLC, he was a litigation partner at the Boston law firm Hill & Barlow, where he practiced for 17 years and chaired the Alternative Dispute Resolution Practice Group. David also served for a year as staff counsel for the ACLU of Massachusetts. David mediates and arbitrates cases at BLC ranging from business, employment, construction, intellectual property, and professional liability to divorce and other family-related disputes. BLC is a multi-disciplinary practice that includes lawyers, mediators, mental health professionals, and a financial professional. BLC is the winner of two national awards – the American Bar Association’s “Lawyer as Problem Solver Award” (2009), and the International Institute for Conflict Prevention and Resolution “Law Firm Award for Excellence in ADR” (2010). 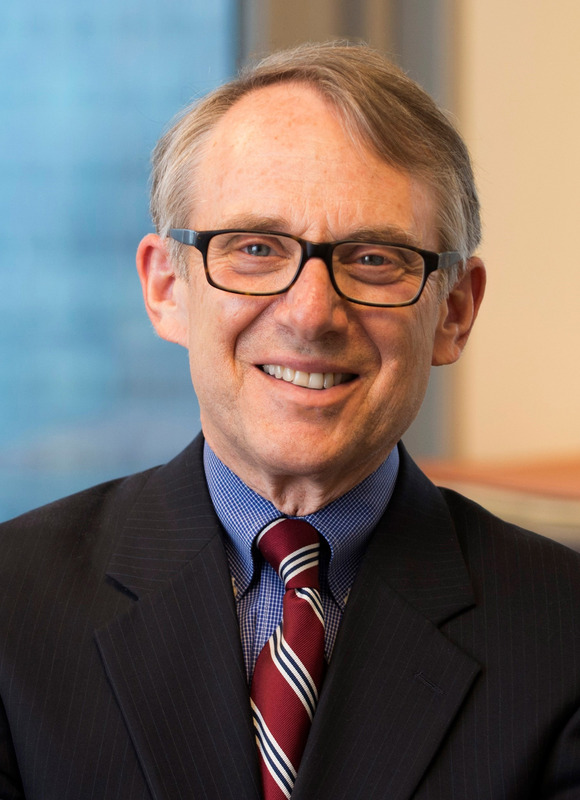 David is past chair of the ABA Section of Dispute Resolution, and currently co-chairs the Ethics Subcommittee of the Section’s Collaborative Law Committee. He is a Distinguished Fellow of the International Academy of Mediators. He has received a Lifetime Achievement Award from the American College of Civil Trial Mediators, and the ABA Section of Dispute Resolution gave him its D’Alemberte-Raven Award, the Section’s highest honor. David is listed in the book “The Best Lawyers in America” in five categories (Mediation, Arbitration, Collaborative Law – Civil, Collaborative Law - Family, and Family Law Mediation). He has been listed in Boston Magazine's Super Lawyers Directory each year since the listing began. David lives in Acton, Massachusetts. He has three children. David A. Hoffman, Mediation: A Practice Guide for Mediators, Lawyers, and Other Professionals (Mass. Continuing Legal Educ. 2013). David A. Hoffman & Richard Wolman, The Psychology of Mediation, 14 Cardozo J. Conflict Resol. 759 (2013). David A. Hoffman, Mediation and the Art of Shuttle Diplomacy, 27 Negotiation J. 263 (2011). Mediation caucusing — that is, separate meetings conducted by the mediator with some, but not all, of the parties — is widely used, but it has become increasingly controversial, as some mediators advocate for a no-caucus form of mediation using only joint sessions with all parties present. The rationale for the no-caucus model is that caucuses give the mediator too much power at the expense of the parties, and joint sessions improve the parties' understanding of each other's views. But caucusing adds value to mediation in several ways. First, from the standpoint of economic theory, caucusing provides mediators with an important tool for overcoming two impediments to settlement — the “prisoner's dilemma” (caused by the parties' fear of mutual exploitation) and “adverse selection” (caused by the failure to disclose information). Second, caucusing can help the mediator overcome a variety of negotiation problems, such as communication barriers, unrealistic expectations, emotional barriers, intraparty conflict, and fear of losing face. Third, caucusing provides a more private setting in which the mediator can develop a deeper and more personal understanding of the parties' needs and interests. Although the no-caucus model may be appropriate for certain types of mediation (particularly those cases in which the parties will have an ongoing relationship), some parties may prefer the efficiency that can be achieved with caucusing, even if that means sacrificing certain other values — such as greater understanding — or giving the mediator more information than the parties have, thus creating the risk of manipulation by the mediator. Moreover, the choice is not binary — numerous variations and hybrid formats can be useful, such as sessions in which the mediator meets with only the parties' lawyers or with only the parties. Choosing the best format for a mediation is more of an art than a science, and mediators should consider, with the parties, whether the parties' objectives would be best served using only joint sessions, extensive caucusing, or a combination of these approaches. · The Psychology of Mediation, 14 Cardozo Journal of Conflict Resolution __ (2013) (in press) (with co-author Dr. Richard Wolman). · The Mediator as Moral Witness, Harvard Negotiation Law Review blog, April 2013 (www.HNLR.org).